Over the past year the search term that has month on month, generated the most traffic to the Jaluch website is ‘how to dismiss a short service employee’. It’s clearly an area of concern for many. We have covered this topic before but, as managers and also some HR Departments lack confidence in this area, we thought another HR Blast on the topic would be of value so we’ve added in some info on managing short service staff. Make sure your written disciplinary and performance management policy/procedures specifically exclude staff with less than two years service. This will make managing and dismissing short service staff far neater and far quicker. It’s a missed opportunity if your procedures do not contain this exclusion. A three month probationary period is often a waste of time. Make your standard probationary period six months and be prepared to extend it by up to three months if the employee hasn’t convinced you they are right for the job. Unfortunately many companies really don’t make good use of the probationary period – it’s a key period and should be actively used throughout – not just at the end. We recommend at least one sit down meeting every four weeks during probation. And, if an employee is not working out, don’t wait to take action to the final day of their probationary period, do it as soon as you can. A common error is not meeting with the employee during probation to make it clear that their performance isn’t good enough. This often then results in the manager creating a situation where they feel really uncomfortable when they want to dismiss the employee, knowing that their decision will come as a huge surprise to the employee concerned. Worst case scenario is this sometimes means that they don’t dismiss at all – disastrous! Another common error is when managers do meet with staff during their probationary period, but fail to be clear and specific enough about what the performance/conduct issues are. Also, fail to be clear that if they don’t improve, they may be dismissed. This wording is critical. Time for managers to stop beating around the bush or just dropping a few hints in the vain hope the employee will ‘get it’. Instead, managers should be encouraged to use language that leaves absolutely no room for doubt. Not many organisations have a probationary policy (or equivalent) and this is really helpful in making clear the procedure you will follow if someone’s performance/conduct is not satisfactory. It’s a really useful document for managers to use as a guide as they can sometimes flounder without any sort of direction. 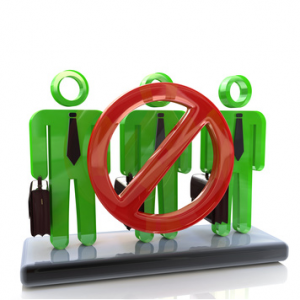 Be careful though not to create a probationary policy that is far too long and complicated. This can be just as bad as having no policy at all as manager’s end up tripping over themselves by not following your policy to the letter. If you have an under performing or misbehaving member of staff member who is still on probation, but who has gone off sick, what should you do? Whatever you do, don’t delay until after the end of their probationary period. Keep a keen eye on dates to ensure this doesn’t happen. And, if the employee can’t come to you, you go to them. Arrange a mutually convenient time for you to go to their house or arrange to meet at a location near their home. We know it’s uncomfortable stepping into someone’s home when you are about to dismiss them, but you really can’t afford to allow the end of their probationary period to pass without taking the necessary action. Just make sure you take a note taker/witness with you and make sure the employee is aware this isn’t just a friendly house call. It’s formal, so don’t shy away from saying it is. And if the employee won’t meet with you, require them (yes, don’t ask them, but instead require them) to ask a representative to attend in their place or submit written representation… before the end of their probationary period! Don’t do this just because you are trying to avoid having to dismiss. That’s a waste of everyone’s time. Only extend if there are clear reasons why your initial probationary period may not have been long enough for the employee to prove themselves. And don’t extend beyond 9 months. No legal reason for this, it’s just that if you can’t decide after nine months, surely it’s time to accept that this employee is not right for you. Tempted to not dismiss as employee is way off two years service? At two years service employees acquire the right to claim constructive or unfair dismissal. If you have already allowed your employee to work past the end of their probationary period, but now you want to manage their performance, what should you do if you know that performance management is likely to take them beyond the two year mark? (note: typically we expect performance management from beginning to dismissal to take up to 9 months). Well, some employers choose to deliberately breach their own procedures and dismiss after just a short attempt at performance management. This poses some risk of a claim and financial penalty (e.g. breach of contract claim), but the risks are often lower (assuming there isn’t a risk of discrimination) than dismissing after they have acquired two years service. Anything not clear here? Why not get in touch. To read other Jaluch material on short service workers click here. Jaluch… simply brilliant at clear, friendly employment advice in plain English. Call us for reassurance that you are doing things right. We’re also brilliant at delivering workshops for managers on essential employment law and managing performance. Why not call us to discuss. And finally, another area of stunning brilliance is demonstrated in our pre-packaged training courses for managers on topics such as managing discipline and absence. Cost effective training for managers. Check out our store for details.